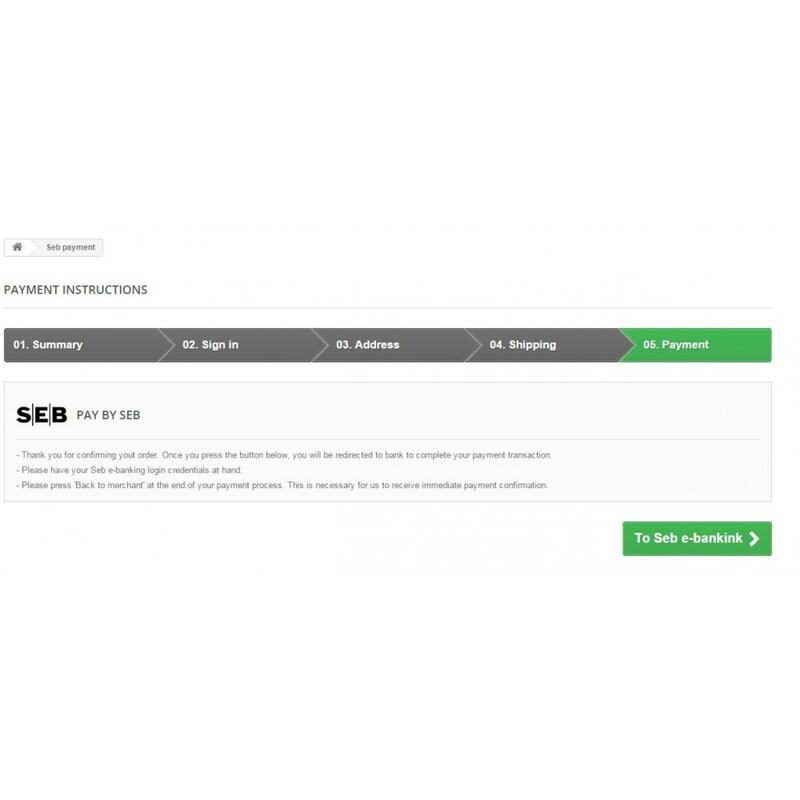 Module offers fast payment option for SEB customers in Lithuania by generating payment templates according to value of an order. Module makes payments for orders simple and easy to handle. You will not need to change the order status manually in the Back-office any more. 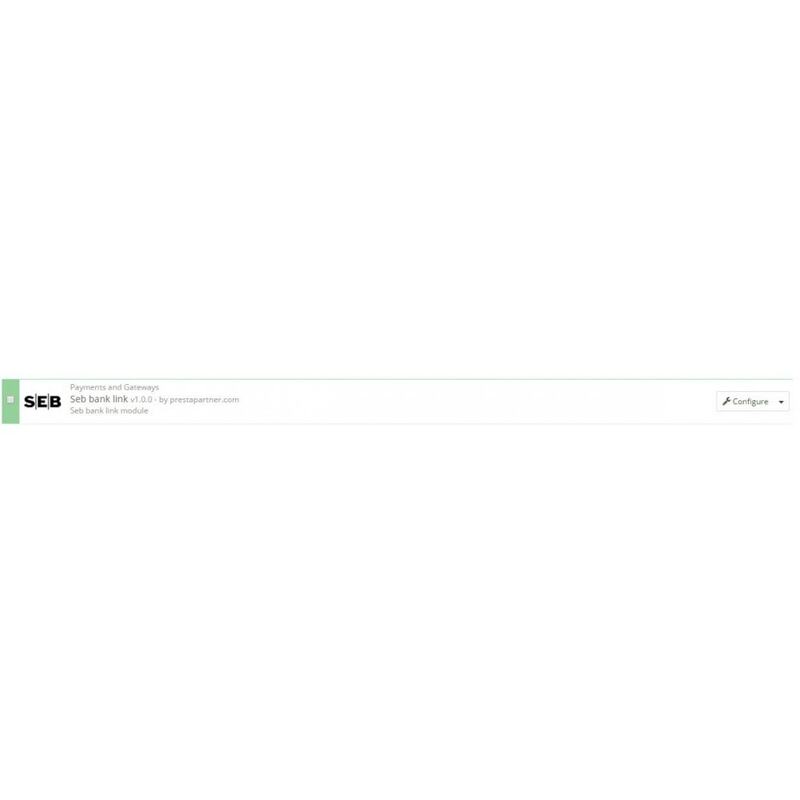 Customer will be able to make a payment for order very quickly. There will be no need to enter name, bank account number or any other information about recipient. Before starting using this module you must sign a banklink contract with a bank.